The 10-m antenna, completed in 1992, operates at frequency bands of 2, 8, 22, 43 GHz. 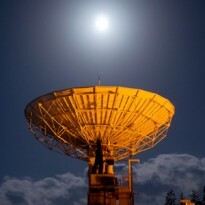 It was mainly used as one of the Japanese VLBI stations. Currently, it is used for developments of RISE, evaluations of VERA, and some observations of maser sources and active galactic nuclei.